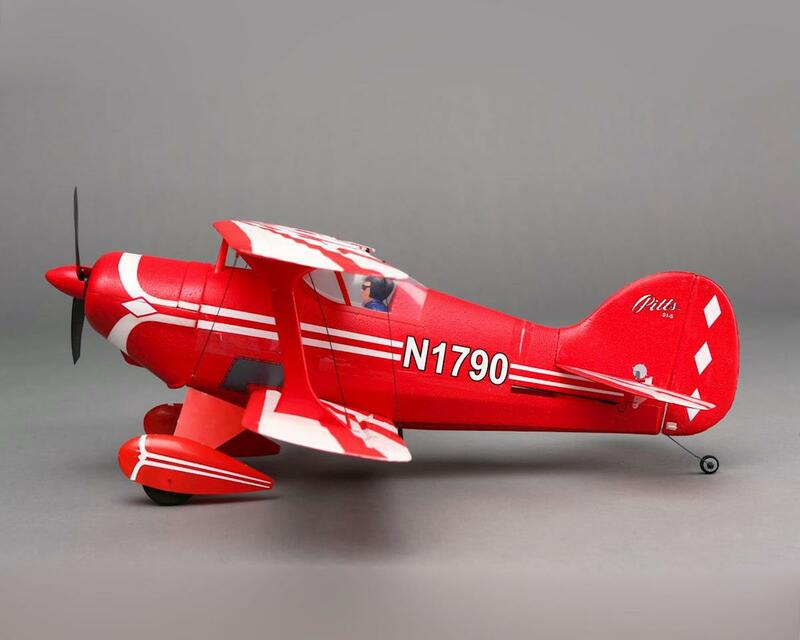 This is the E-flite Ultra-Micro UMX Pitts S-1S BNF Basic Electric Airplane. 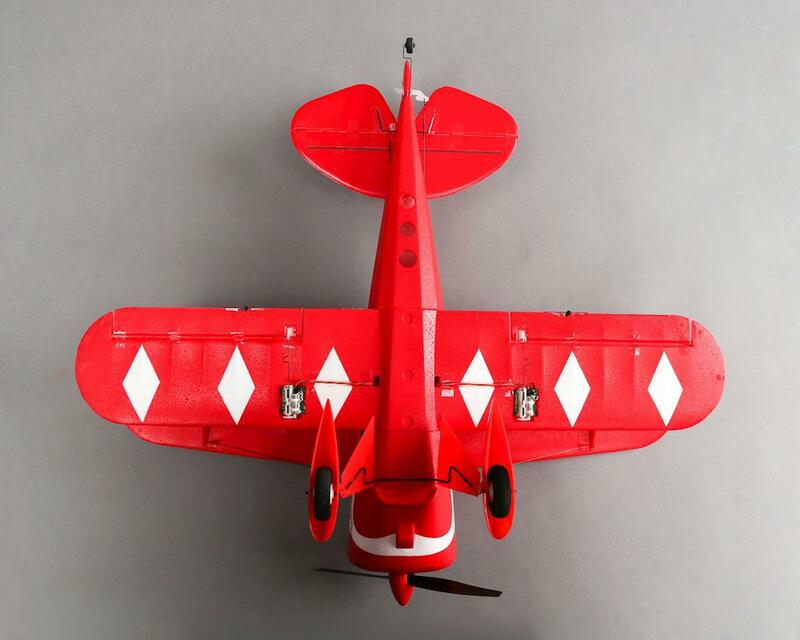 The E-flite UMX Pitts S-1S airplane makes it possible to enjoy the aerobatic icon of the century in your own back yard. Even more remarkable is how predictable this beautiful bipe handles. That’s because its AS3X system has been custom-tuned to deliver stability when you need it and agility when you want it. 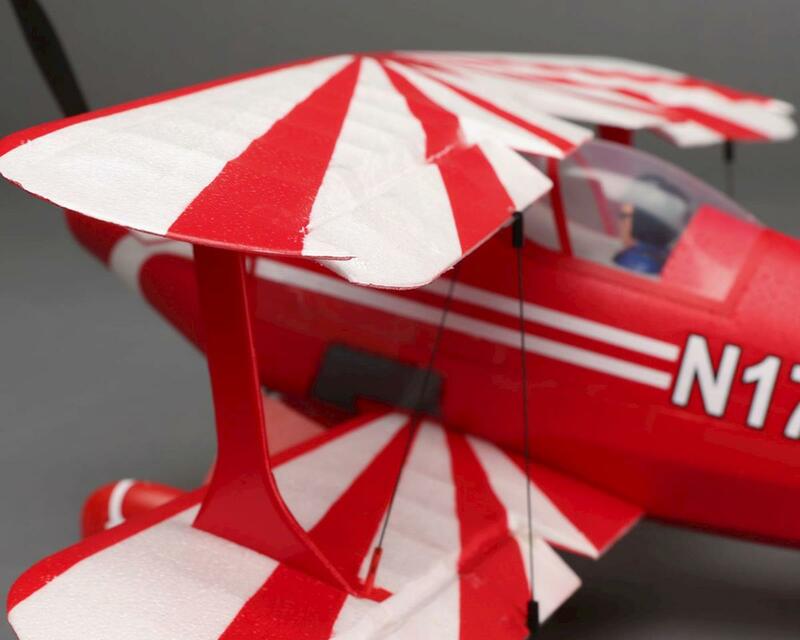 The result is a scale aerobatic flight experience similar to that of an expertly tuned giant-scale model. And the best news of all is that you can enjoy it right away because there’s no assembly required. 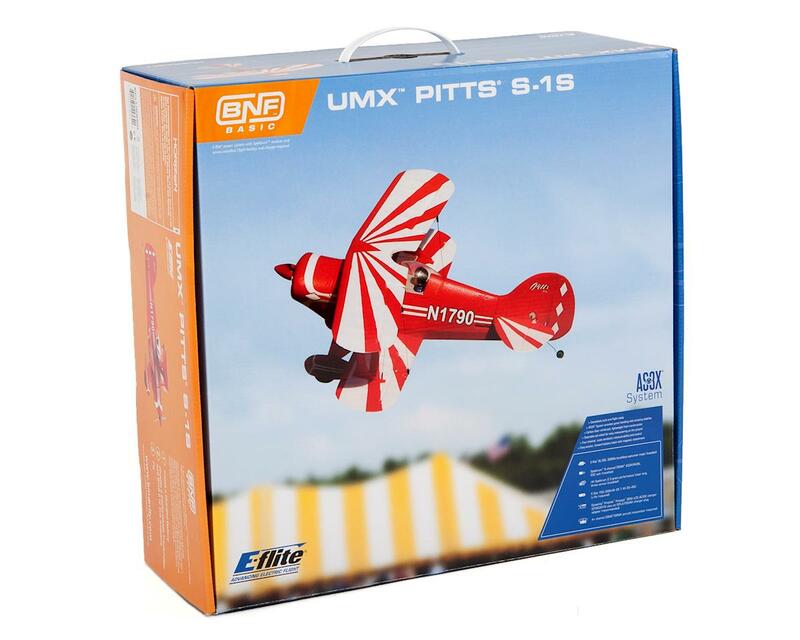 I have had the UMX Pitts for several years now and it is still going strong. Ive had several hard crashes with it and I can attest that it is strong and withstands regular abuse. Ive had to fix a few things here and there with foam safe CA and Ive added some BBQ skewres to the inside of the struts when they got crumpled and you can hardly tell. Flew great new and stills flys great now. 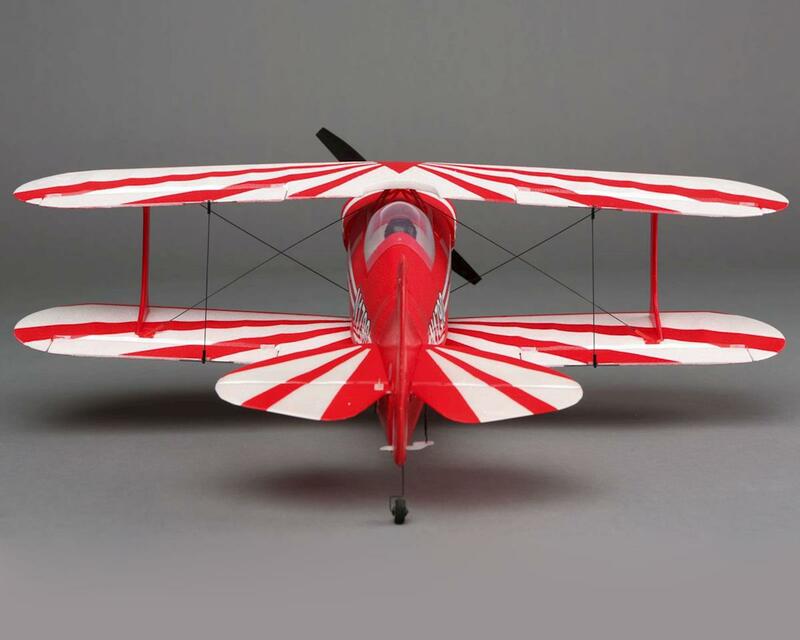 The AS3X makes flying this tiny Pitts not only possible but easy! Who would of thought touch and goes would be fun in a Pitts?! Knifes edges, four point rolls, hamerheads and anything else you can think of are flown as if on rails. Cant say enough good things about it. I bought the Spyder 350mah batteries that give it much better flight times, 8-10 minutes depending on power use, however these may not be availabe anymore. Buy without hesitation! I’m tempted to buy another for a spare in case they get discontinued! I got a little too cocky with my first one so I just ordered a second one. This is a great little flyer with plenty of pep. 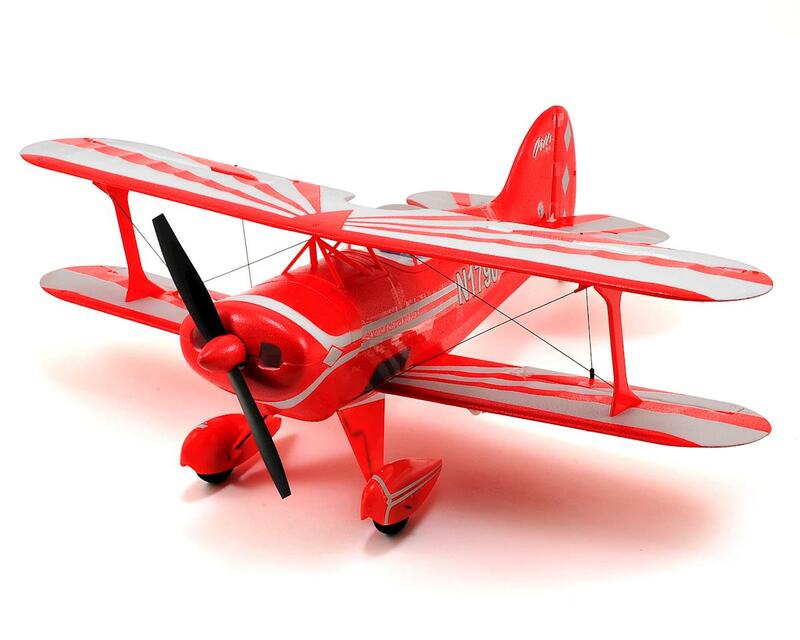 The flight time is a little short with the 200mAh battery but its enough to still have a blast with this little flyer.